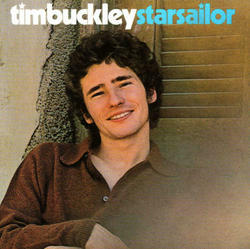 Originally released in 1970, Starsailor is the most unique and uncompromising release of Tim Buckley's brief but productive career. Combining jazz and avant-garde elements with folk-rock and Buckley's acrobatic vocal performances, Starsailor is one of the most experimental singer-songwriter albums of all time. Though it was a commercial failure at the time of its release, Starsailor has since become a sought after cult classic. Deluxe 180 gram vinyl reissue.